*PLANNING PERMISSION GRANTED* to create a further one bed dwelling* A most characterful and stunning Grade I listed property blending perfectly, the character of such a historical property with the refinement of a modern home, having recently undergone a program of refurbishment. 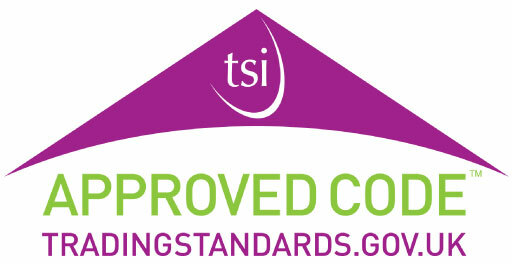 EPC rating F36. The property as it now suggests was originally constructed as a Brew House for Heath Hall. Finished in dressed stone with Ashlar Quoins and dressings. The superb property was extensively restored at its conversion in 1982 and was commended with local design awards and Civic Trust Accommodation in 1984. A most characterful and stunning property blending perfectly, the character of such a historical property with the refinement of a modern home, having recently undergone a further program of refurbishment throughout including newly installed kitchen and two luxurious bathroom. The Grade I listed property has been restored to the highest of standards and offers generous accommodation laid out over two floors, comprising a reception vestibule with guest cloakroom/w.c. leading off, a large central dining hall with superb staircase leading to the first floor landing. Doors lead off to the large lounge with feature fireplace and French doors providing access onto the attractive gardens. This room extends through into the dining hall. The large dining kitchen has a range of bespoke hand painted base and wall height units with solid Quartz worktops and a range of integrated appliances and a large black enamel Aga cooking range. A further hallway to the side has a second staircase, also leading to the first floor. The first floor landing has doors leading off to four bedrooms, the master with a superb en suite shower room/w.c., in addition to a large family bathroom/w.c. with quality four piece bathroom suite. Outside, the property can be accessed from the front and rear by car, the front opening into a courtyard at East Pavilion. The rear having double gates opening onto a private driveway, which leads to a substantial double garage with full-length inspection pit. In addition, there is a stone built garden store and quality greenhouse. The large gardens offer a high degree of privacy with a range of established plants, trees, shrubs and orchard, Yorkshire stone patio seating areas and lawns. Within the garden there is a large annex providing ancillary accommodation to The Brew House. This annex measures 5.8m x 5m, dressed in Yorkshire stone beneath a pitched roof and having Travertine flooring with underfloor heating and a built in kitchen area with bespoke units, granite worktops and integrated dishwasher. The village of Heath has for many years been referred to as a village of mansions. Heath has conservation area status and has a range of buildings built around the central green. This property has been built as part of Heath Hall in the mid 18th century under the supervision of the local famed architect John Carr. 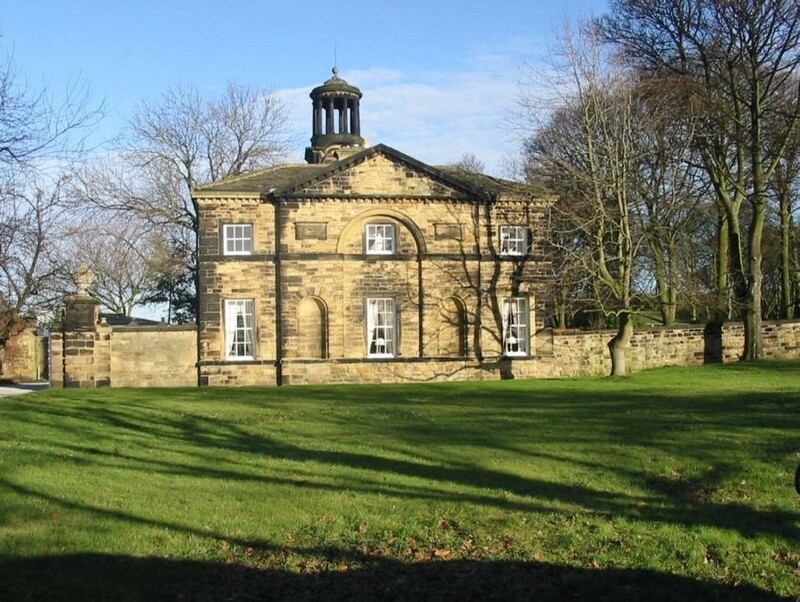 The property is one of the few Grade I listed buildings within the Wakefield area. Located in the highly regarded village of Heath in the south east of Wakefield within easy reach of the M1/M62 motorways, Westgate station nearby and offers a regular high speed rail link with London Kings Cross only two hours away. Heath is a small village comprising a collection of approximately 50 dwellings which range from simple cottages to stately homes dating back to the 16th century. The village is set within 131 acres of common land which plays host to a number of events throughout the year. RECEPTION HALL Panelled door leading to the cloakroom, ornamental coving to the ceiling. Polished oak parquet flooring with inset doormat well. A bespoke engraved glass internal window depicts The Brew House commemorating its restoration. Central heating radiator. CLOAKROOM/W.C. Fitted with a two piece suite, which comprises wash hand basin and close coupled low flush w.c. Coving to the ceiling. Built in storage cupboards, extractor fan and central heating radiator. DINING HALL 16' 0" x 14' 1" (4.9m 16' 0" x 14' 1" max (4.9m x 4.3m) Enjoys natural light from two windows on the front elevation, staircase with oak spindle balustrade leads to the first floor landing, ornate coving to the ceiling and central ceiling rose. Two central heating radiators in traditional radiator cabinets. Door to the dining kitchen and double doors opening into the lounge. LOUNGE 20' 4" x 17' 4" (6.2m x 5.3m) A well proportioned living room, which enjoys natural light from three sash windows positioned on a dual aspect, double French doors open onto the rear patio and garden. Living flame effect electric fire within an ornamental stone surround and stone hearth. Coving to the ceiling. Three central heating radiators within traditional radiator cabinets. DINING KITCHEN 17' 4" x 11' 5" (5.3m x 3.5m) The heart of this superb home with sash windows on a dual aspect enjoying a superb vista across the garden. The kitchen has a range of bespoke hand built base and wall height units in a hand painted finish and with contrasting solid Quartz worktops and upstands, built in sink with mixer tap and Insinkerator instant hot water tap, feature exposed brick wall and arched recess, which houses the black enamel Aga cooking range (gas fired with a built in electric module for summer use). Integrated fridge, freezer, double dishwasher and automatic washing machine. Exposed timber beam to the ceiling, marble lime stone flooring, large built in linen/storage cupboards and central heating radiator. REAR ENTRANCE VESTIBULE Panelled door leading into the covered archway, coving to the ceiling, a second staircase leading to the first floor. 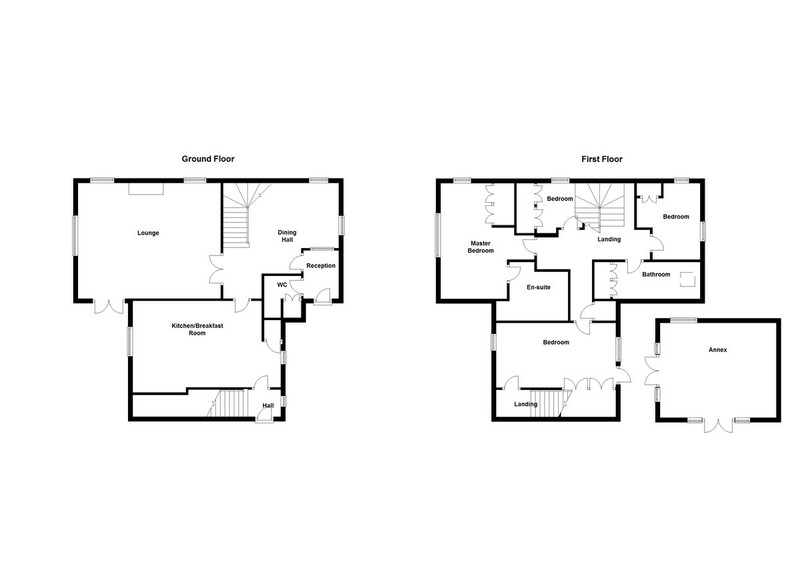 FIRST FLOOR LANDING Built in storage cupboard, doors leading to four bedrooms and house bathroom/w.c. Coving to the ceiling, inset spotlights to the ceiling and central heating radiator. MASTER BEDROOM 17' 4" x 11' 1" (5.3m 17' 4" x 11' 1" max (5.3m x 3.4m) An excellent master bedroom incorporating a dressing area, which houses a range of built in wardrobes with drawer unit and bookshelf, sliding sash windows on a dual aspect. Coving to the ceiling and central heating radiator. EN SUITE SHOWER ROOM/W.C. 10' 2" x 6' 11" (3.11m x 2.11m) approx. Newly installed quality three piece suite comprising large tiled shower cubicle with mixer shower, low flush w.c. and large vanity unit with marble worktop housing an inset wash basin. Ornate coving to the ceiling, two wall lights and chrome ladder style radiator. BEDROOM TWO 17' 8" x 11' 9" (5.4m x 3.6m) Sash windows on a dual aspect, door leading to the second staircase (accessed from the rear entrance vestibule). Exposed timber beam to the ceiling, coving to the ceiling, two central heating radiators, built-in wardrobes and vanity unit housing a wash basin. BEDROOM THREE 11' 1" x 9' 2" (3.4m x 2.8m) Sash window to the front, coving to the ceiling, built in fitted wardrobes and central heating radiator within an traditional radiator cabinet. BEDROOM FOUR 9' 6" x 9' 2" (2.9m x 2.8m) Sash window, built in fitted wardrobes, coving to the ceiling and central heating radiator. HOUSE BATHROOM/W.C. 12' 5" x 5' 3" (3.79m x 1.61m) approx. Newly installed luxurious four piece suite comprising free standing bath with shower attachment, separate large walk-in shower cubicle with waterfall head, low flush w.c. and contemporary ceramic wash basin set onto a vanity unit. Part tiling to the walls, full tiled floor, chrome ladder style radiator, vanity mirror with lighting. OUTSIDE ANNEX 19' 0" x 16' 4" (5.8m x 5.00m) This superb addition to this property providing ancillary accommodation, if required, for the dependent relative or ideal for use as an entertaining area or home office. Built with sandstone walls below a pitched roof with full height vaulted ceiling. Internally the property has feature exposed brick walls, two sets of French doors providing access onto the garden. Built in corner kitchen area featuring bespoke base and wall height units with solid granite work surfaces and a stainless steel sink and drainer unit with mixer tap. Travertine tiled floor with underfloor heating. GARDENS The property occupies a generous plot. Large private gardens and at the rear a gated driveway opening onto a substantial parking area with detached double garage beyond with full-length inspection pit. Stone built garden store (measuring 4.5m x 2m) with power and light and a quality greenhouse (measuring 14ft x 8ft 6in) also with power and light. The gardens are beautifully landscaped offering a high degree of privacy with sandstone patio seating areas, lawns and established planted borders and mature trees. The property can also be accessed at the front from double gates opening onto a shared courtyard area for the use of East Pavilion and The Brew House. PLANNING PERMISSION Planning permission has been granted for conversion of the detached double garage to create a new one bedroom dwelling, two parking spaces for the host dwelling, two parking spaces for the new dwelling and erection of a perimeter boundary wall. The permission approved 30th October 2015 with the application reference number 15/01723/FUL. The decision notice and associated plans are available to view on file at the Wakefield office or online on the Wakefield Council Planning Portal.